Considering the positive response of the Director-General of the Ministry of the Interior and his promise to examine impartially and in-depth the demands of the protesting stateless Kurds from Syria, on Tuesday, 1st August 2017, as well as the efforts and positive attitude of other, independent authorities and bodies, such as the President of the Committee on Internal Affairs of the House of Representatives, the Commissioner for Children’s Rights, the Director of UNHCR, the protesters are suspending the hunger strike of the two family members as from today, 11th August 2017. 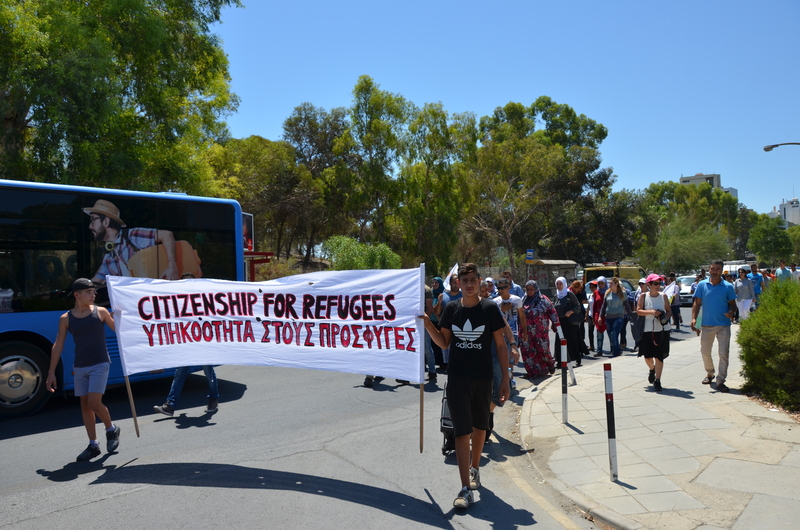 With the suspension of their hunger strike, the protesting refugees want to send the message that once again, they trust the Cypriot authorities and they hope that they will respond positively to their fair demand for Cypriot citizenship. While they will continue their protest outside the Presidential Palace, the two members of the family will suspend the hunger strike they have been on for 67 days (since 6/7/2017), so that they give the Ministry of Interior enough time for the comprehensive review of their application as they believe that this will be to the benefit of the outcome of their case. Finally, with the suspension of the hunger strike and the continuation of their protest, the protesting refugees want to send their warm regards to all the organisations, bodies and individuals that have, in any way, shown their support and solidarity to their struggle for the acquisition of the Cypriot citizenship and therefore their right to dignity.